Black Wolf may have traveled west to ransom the heir of Lost Vegas, but he quickly discovers his destiny lies in a different direction. All roads, and all paths, lead to the cursed city and the war brewing around it – including his. Except this destiny, he must face alone. His beloved spirit wolf returns to the spirit realm, leaving the skinwalker with the sacred duty of helping her six magical pups find the people they are destined to guide, before he, too, dies. 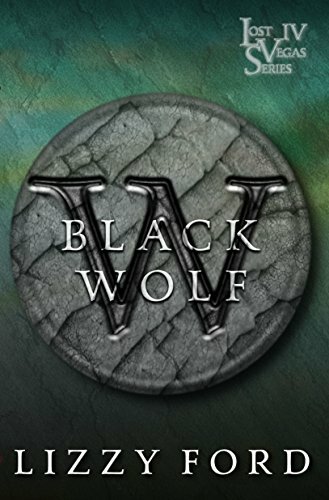 Caught up in the Hanover family drama, the solitary Black Wolf is forced to accept allies to assure the outcome everyone wants. But even he is uncertain of how anyone – especially a scared girl, a half-skinwalker, a displaced heir, and a Native seeking vengeance – will defeat a man whose power and reputation for cruelty are spoken of in whispers for thousands of miles. The skinwalker’s fate and death may be predetermined, but little does he know the importance of his role in the final battle.